This 50 Foot Non-Marking Hose assembly comes with the 3/8″ brass coupler and 3/8″ brass plug already installed. 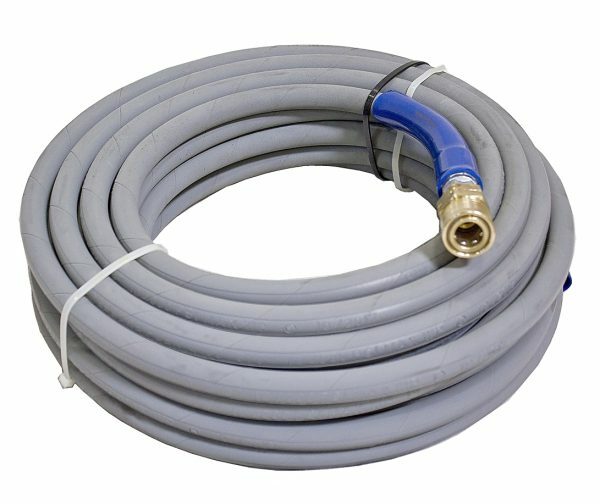 This hose is single braided, rated at 4000 PSI, and will work with any size of Top Gun Gun pressure washer. The non-marking feature is great for any application where a black pressure hose could potentially leave behind damaging streaks on surfaces.